The Open Development Cambodia (ODC) team focuses on making information about land concessions, public services and laws publicly accessible via digital platforms. Although this information is available in print form it is hard to find. What ODC is doing is gathering this information on laws and public services, land concessions and other topical issues. ODC then shares the information online in the form of documents, maps and infographics. The Open Development Cambodia (ODC) team is focusing on making information about land concessions, public services and laws publicly accessible via digital platforms. Although this information is available in print form it is hard to find. What ODC is doing is gathering this information on laws and public services, land concessions and other topical issues. ODC then shares the information online in the form of documents, maps and infographics. During the latter half of 2017, an independent research team has been evaluating the impact of ODC’s online platform as well as the methods that are being used to gather the information used to populate the website. 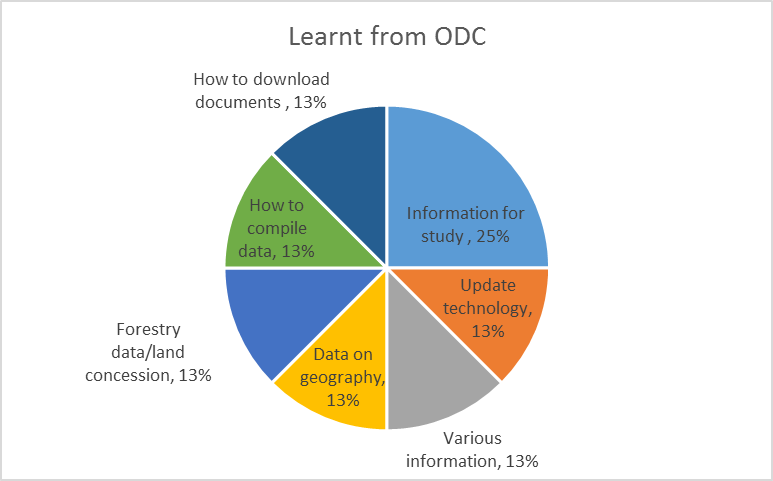 Some of the information that ODC compiles into the open datasets is gathered at school visits, or community follow up meetings. During one such event with the BarCamp in November 2016, the research found that the ODC platform was popular among students, who used it to supplement their studies curriculum. 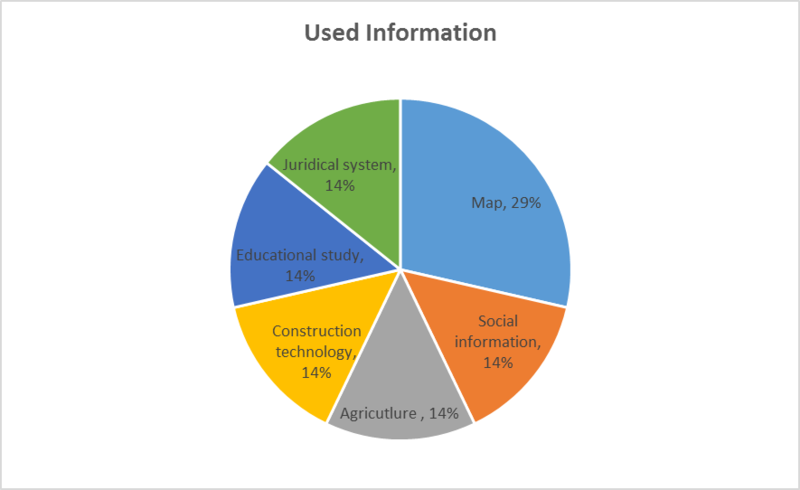 A general overview of the most sought after information among all the respondents interviewed was the reference to the maps followed by interests in agriculture and Cambodia’s judiciary system. To acquire information from the ODC portal, one must subscribe for the service and it is from this data base that the research team made contact with a sample of users who informed this section of the research findings of the platform from Phnom Penh. 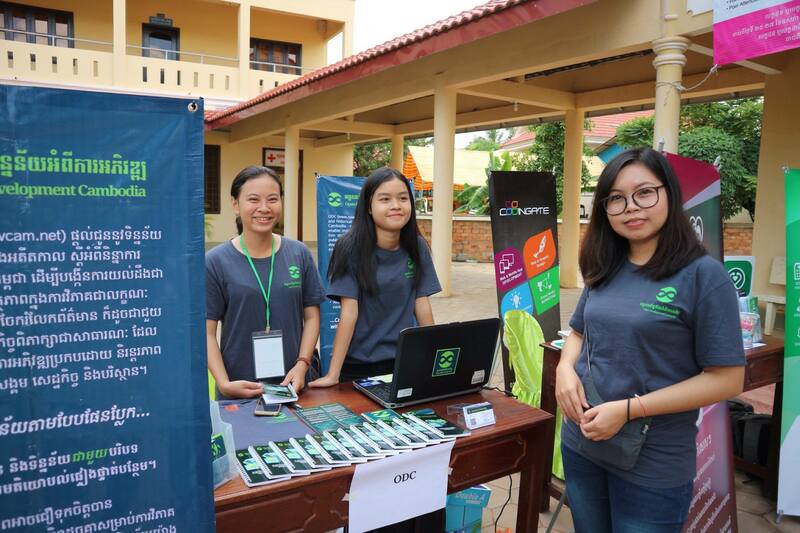 Other findings suggest that with the popularity of Facebook in Cambodia, ODC can have a wider outreach if the services provided on the portal are promoted, advertised, and debated about on Facebook. This could drive even more traffic to the portal. Promotional materials that ODC produced to advertise and draw interest and participation to the BarCamp, included T-Shirts, notebooks, bookmarks, stickers all with the ODC logo. These were extremely popular, although establishing whether there may be a link between increased traffic to the portal as a result of these materials is difficult. 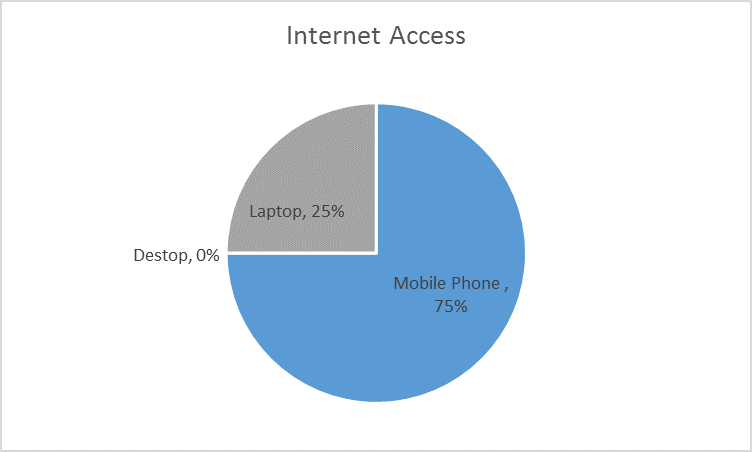 75% of community workers claim to access the ODC platform through their smartphones communicates the widespread use of smart phones as well as internet access in Cambodia today. The currency of open data in this type of environment increases significantly. This was an important finding because as these communities rely heavily on ODC for various public services, such as how to acquire a birth certificate, a marriage certificate as well as information on land concessions, the smart phone as a user interface must foster and not frustrate their user experiences. Review of the user interface found that more resources needed to be invested in improving performances of the ODC platform for mobile interfaces. A recommendation by the research is to create an online survey to get user feedback not only on the user experiences but also review the content and provide suggestions for information users would like to see on the platform. In other words have a more interactive portal than is currently available. Another recommendation is to engage with the users via Facebook to obtain feedback on the content. Other community members also felt that periodic training workshops would also boost the engagement of more rural communities. Assessment of the portal user interface, found that additional work needs to be done in improving the response performance. In addition, the ODC team must monitor the platform so that broken links are fixed quickly. As more agencies continue to engage with the portal, digital marketing promoting the services are recommended. Facebook would be a good avenue to advertise ODC but also have paid marketing content on goods and services from other vendors, pay to have their commercial interests advertised on the ODC platform. This is a recommended strategy for sustainability of the portal. The Implementation of Social Accountability Framework (I-SAF) a government entity, also works at providing access to public services and information. The research found that I-SAF relies on the ODC platform because of the variety of information on services, the fact that it is fast and easy to access, but also that information on the ODC portal is of high quality and can be trusted. Moving forward I-SAF and ODC can only benefit in a synergistic collaboration to promote fast and reliable provision of public services in Cambodia.